Seen from the ground... the flight of a jumbo jet... or the launching of a space shuttle... can seem like magic. For the aerospace engineering and operations technicians who work on these modern marvels up close, these events are part of their everyday jobs. These technicians help ensure that aerospace engineers' experimental designs for air and space vehicles are feasible and can be implemented. Aerospace engineering and operations technicians build test facilities, then run tests on prototypes or new models to find problems in design or function. They record test data and make adjustments to prevent dangerous equipment failures. Making live tests function as intended requires both communication skills and technical skills. Often when something isn't working, technicians and engineers troubleshoot together, so technicians must know how to ask the questions that will lead to the right answers. Most aerospace engineering and operations technicians work full time in manufacturing plants, laboratories, and offices. In plants, technicians are directly involved in assembling aircraft, missiles, and spacecraft. Aerospace engineering and operations technicians typically earn an associate's degree in engineering technology. Security clearance may be required for work related to national defense. Proper execution of their duties is crucial both for safety and performance. In the end, it's these technicians who carry the weight of flight. See more details at O*NET OnLine about aerospace engineering and operations technicians. 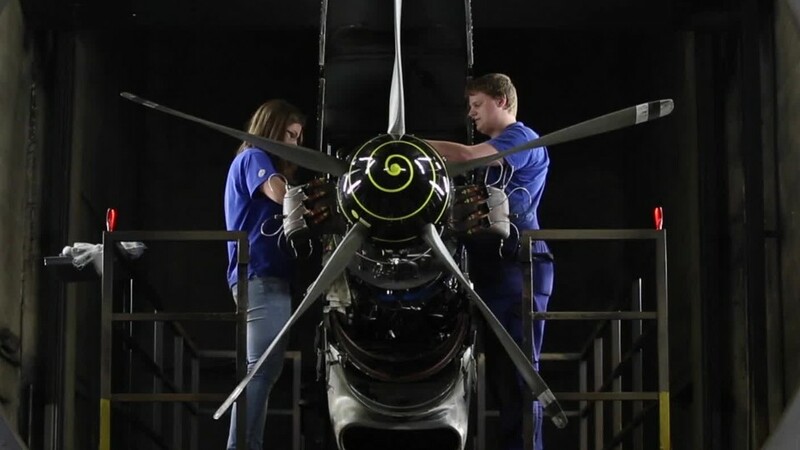 Aerospace Engineering & Operations Technicians by U.S. Department of Labor, Employment and Training Administration is licensed under a Creative Commons Attribution 4.0 International License.